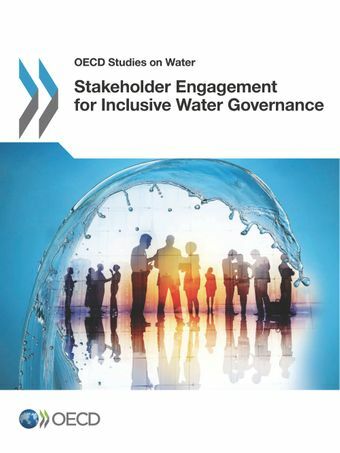 This report assesses the current trends, drivers, obstacles, mechanisms, impacts, costs and benefits of stakeholder engagement in the water sector. It builds on empirical data collected through an extensive survey across 215 stakeholders, within and outside the water sector, and 69 case studies collected worldwide. It highlights the increasing importance of stakeholder engagement in the water sector as a principle of good governance and the need for better understanding of the pressing and emerging issues related to stakeholder engagement. These include: the shift of power across stakeholders; the arrival of new entrants that ought to be considered; the external and internal drivers that have triggered engagement processes; innovative tools that have emerged to manage the interface between multiple players, and types of costs and benefits incurred by engagement at policy and project levels. This report provides pragmatic policy guidance to decision makers and practitioners in the form of key principles and a Checklist for Public Action with indicators, international references and self-assessment questions, which together can help policy makers to set up the appropriate framework conditions needed to yield the short and long-term benefits of stakeholder engagement.